3.1 has been out for a while and now that we’ve all had a good feel for our specs its time to re-evaluate what we’ve been using. In my previous post, I alluded to two different healing specs: One Holy and One Disc. I’ve found my Disc spec to be exactly what I expected it to be, and its what I use now as Disc, however my Holy spec in that post has notably changed. I have been raiding mainly as Holy lately, and have tweaked my Holy build considerably since 3.1 launch. 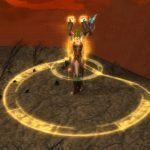 This spec has a lot of the standards that you would normally see in a PVE raiding spec (Spirit of Redemption, Spiritual Healing, Empowered Renew), but you probably noticed right off the bat that there are a few things that don’t smack of a pre-3.1 spec. Notice I didn’t put a single point into Divine Fury. Most traditional holy specs have this spec with at least 3 points, if not capped off at 5/5. However, ask yourself: “When was the last time you reliably cast Greater Heal?” Perhaps every so often, but not all that often, why sink 5 points into a talent that you aren’t going to benefit from with any regularity? Spell Warding, wait, isn’t that a PVP Talent? At first glance yes, yes it is. However remember that Ulduar has a lot of raidwide magic damage. (Hodir, Mimiron Phase 2, Auriaya). Survivability for the win. Normally I would skip Healing Focus, however for fights that have a lot of raidwide damage that you don’t want to get pushed back on its a life saver. (i.e. Phase 2 Mimiron when you’re spamming Prayer of Healing). Improved Healing has zero points in it. Remember that you aren’t casting a lot of Gheals so you can move these points elsewhere as well. Yes you will take a hit to your Hymn, and even post 3.1.2 nerf (pending), 3 points for a 10% boost on a 10 minute cooldown spell is quite pricey! Serendipity and Test of Faith are two talents I find myself at odds with. I kept moving points around going 2/3 in each, but ultimately gave Serendipity 1 point and ToF 3. First, Serendipity, now who doesn’t like a hasted Prayer of Healing! I know I love it, but i found myself predicting damage and casting prayer pre-emptively (thus landing shortly after the aoe damage), wasting the Haste buff. 1 point here seems plenty and is just a nice little “bonus” after spamming flash heal. Test of Faith is a very passive, but powerful talent. You don’t notice this talent at work. It simply makes your heals hit harder when your target needs them most. I want to repeat that, it makes your heals heal for MORE, when your target is under 50% HP. What’s not to love!? Another option, mentioned to me by a friend on my server (/wave Ava), is to move some points into Body and Soul. (I’d suggest pulling 2 points out of Divine Providence, and getting 2/2 B&S). This talent can be very handy for fights where mobility is key. (Running out of range during Mimiron, or running a Guardian to Sara for P1 Yogg). A quick trigger finger on PW:S with this talent can be a life saver. Glyph of Circle of Healing – a must have for a deep holy spec, it makes the spell that much tastier! While, yes, I have been using Prayer of Healing a lot more lately, I didn’t find the glyph all that handy and mainly Overhealed. One glyph that I have been using a lot lately, and it surprised me, was the Glyph of Guardian Spirit. The first couple of raids with the glyph I had to break myself out of the habit of ‘saving’ GS. With this glyph you can use the spell a lot more often, and use it for purely the healing bonus to the tank. If its not used up, great! You only have a 60 second cooldown. (Mimiron Phase 1, this has been quite helpful in keeping the tank alive, and still having it available for even an additional Plasma Blast or as a hail mary in Phase 2). 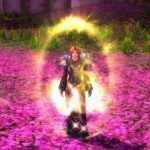 3.1 Priest Specs – What are You Doing? Don’t miss a single post! Remember to sign up for my RSS feed.